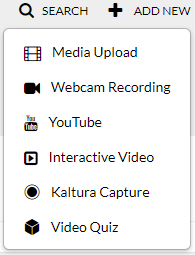 The Kaltura interactive video module offers you the ability to create an interactive video from video’s you own. This can create a chain of video’s that relate to one another like for instance an interactive video that links all the summaries of larger video’s into a more concise whole. Or you could create video’s where viewers can answer a question and depending on the answer given be brought to an explanatory video on why the answer was wrong or the next chapter in the video when they were right. To start making an interactive video just click the “Add new” button from the top right options on our homepage and choose “Interactive Video”. In the newly opened window (below) you are required to enter a name for your video as well as select your faculty/department, language and license. We would also prefer you enter a (concise) description. 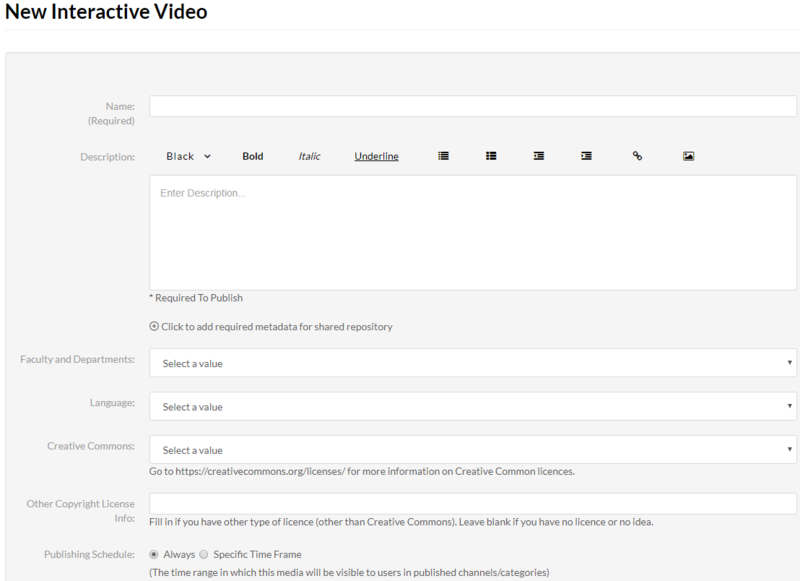 Choosing a publishing schedule will allow you to set a moment in time where the video will be made available. This is useful for when you don’t want the video to be visible outside of the current semester. After we have entered the required information and press “Create” a new screen will load. Please take a moment to get familiar with the new screen. An Interactive Video basically connects multiple video sources and/or a video with several cue points thereby creating a flow between those videos and or fragments. By creatively setting up the flow this technology can be used educationally or to create a “choose your own adventure” type of video. Allows you to drag a (new) empty node onto the project. The downwards pointing arrow is not a button! It is meant to indicate you can drag and drop the “empty node” in the canvas below. 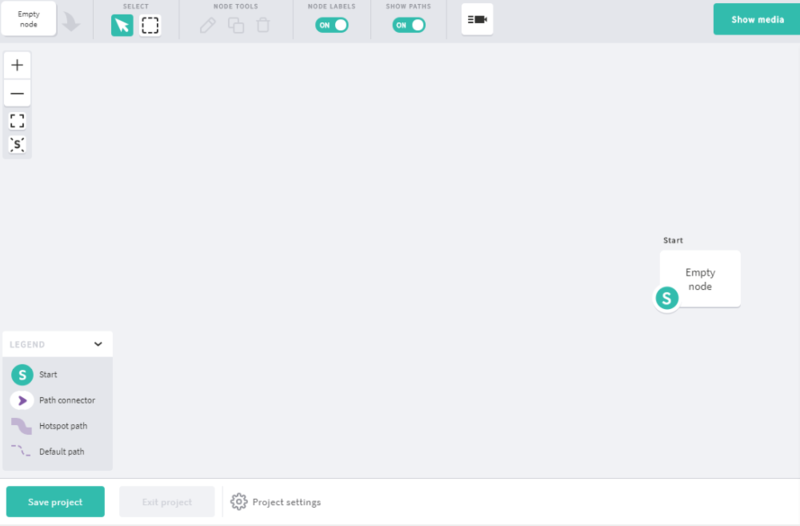 Select and/or move one object or the project canvas. Click and drag to select multiple objects at once. Turn on to view node labels (useful for bigger projects). Show the paths from nodes from start to finish . Status, scene, thumbnail, title, description, incoming paths, buttons and end behaviour (more on this later). Click to either show or hide the media list containing all the video’s you own! Zoom in gradually (can also be done with the mouse-wheel). Zoom out gradually (can also be done with the mouse-wheel). A Legend displaying the project visuals. The “Save project” button (always save regularly). 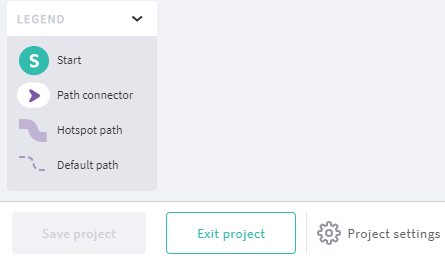 The “Exit project” button which will give a prompt to save your project when there are unsaved changes (*). The “Project settings” button (within which you can add a Google Font link for this project). 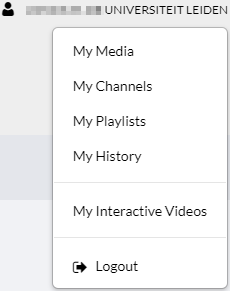 When you have saved your project and want to return to it at a later time you can press on your account name and choose “My Interactive Videos” (as shown below). Now that you know what the controls mean we are ready to start building a project. In the next sub-chapter we are going to explain how to do so.